Announced in July 2016, at San Diego Comic Con, we take a closer look at Mattel’s WWE Retro Figures. WWE Retro’s manufactured by Mattel are based on Hasbro WWF Figures produced from 1990-1994, are the same 4.5 inch scale with a signature move and feature a similar packaging theme. Other than packaging, display stands and an app-feature, the only main difference is from series 4 is an added articulation point featuring kicking legs in selected figures, which wasn’t present in Hasbro WWF figures. 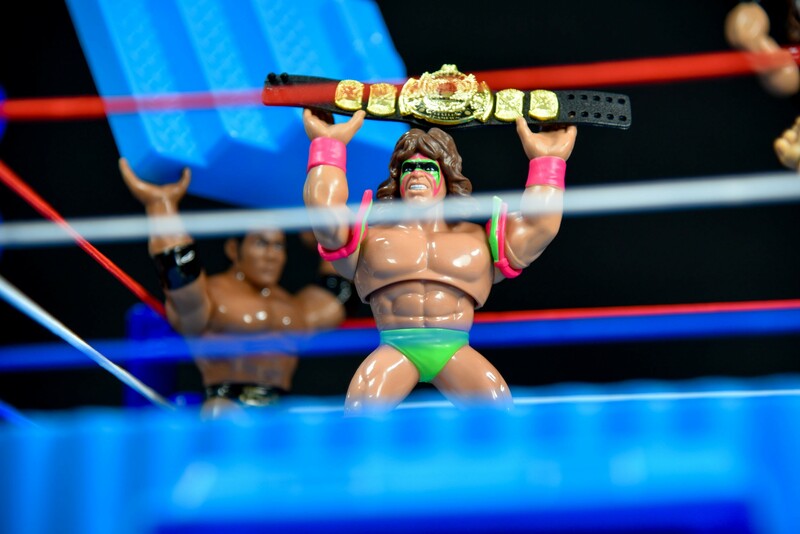 There are many reasons people are collecting WWE Retros, with a leading factor being that customers having previously collected Hasbro WWF figures in 1990 are now adding more to their collection. Others are starting a whole new collection. 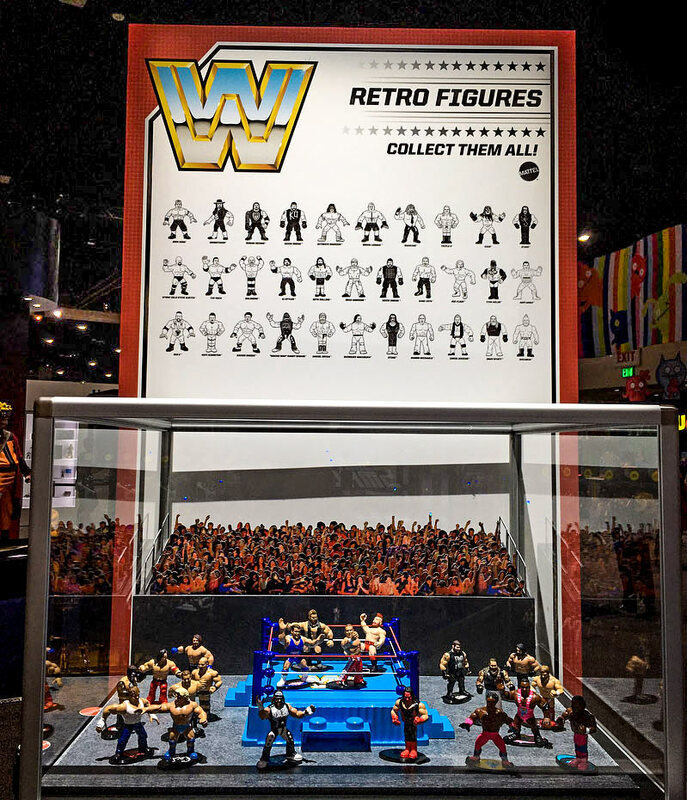 At this years San Diego Comic Con, Mattel revealed WWE Retro Series 7 and 8 along with previous recent releases and also displayed a WWE Retro checklist graphic. 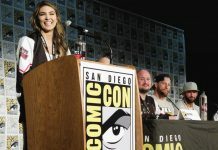 San Diego Comic Con has been an annual event since 1970 and attracts upwards of 130,000 attendees over a weekend period in July. 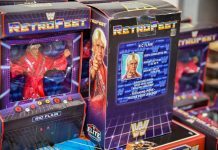 The latest iteration takes place this week from July 19, where Mattel is expected to reveal further WWE Retro figures. 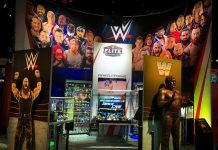 It was at the annual San Diego Comic Con in July 2016, often referred to by attendees and insiders as “SDCC” where Mattel first showcased the inaugural series of WWE Retros. SDCC is a big deal, it is the number one comic book and pop culture convention in the world. So if there is anywhere to announce something, this is the place to do it. When the first six WWE Superstars were revealed at the event, they came displayed with the tag Wal-Mart exclusive. In fact these were specifically made for Wal-Mart in the United States. Outside the United States, they were offered to us and the order form actually read Wal-Mart retros. They were supposed to be a one-off set of six, although Mattel likely knew they had a high possibility of taking off further, this was the something special that Wal-Mart had requested and which Mattel already had been toying around with waiting for the opportunity to introduce it. It was when we spoke to designer of Retro Series 2 Bill Miekina, that we learnt more about this. From our internal point of view, this is the only WWE figure assortment we have ever stocked, where there is almost 100% demand in the full complete set in each series once committing to purchase. 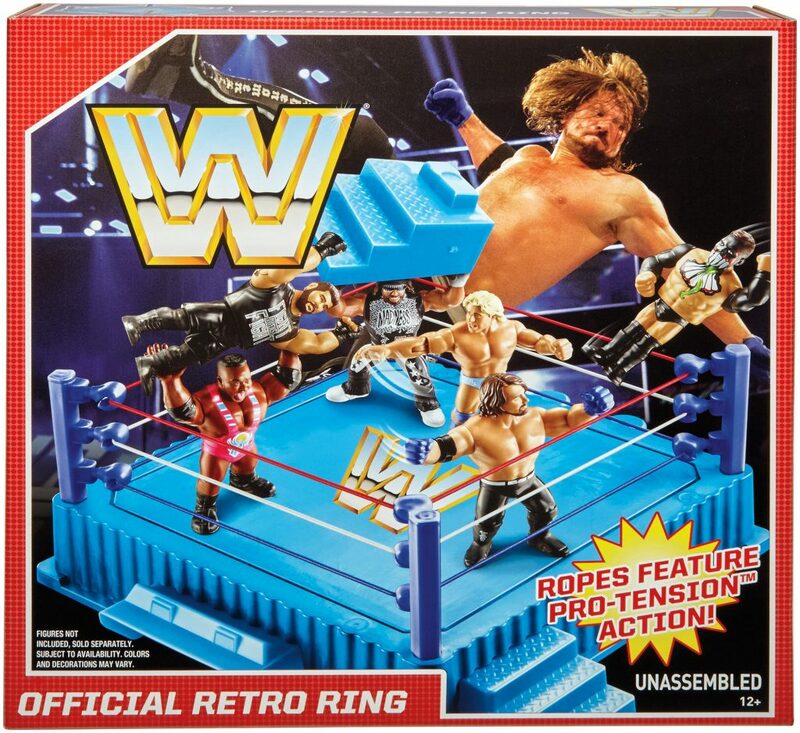 In 2018, Mattel introduced the WWE Retro Ring, which was fitting with the original Hasbro ring playset from the early 1990s. The differences include two belt displays vs one in the original. The logo features the WWE block style logo after WWE were rebranded from WWF in 2002. 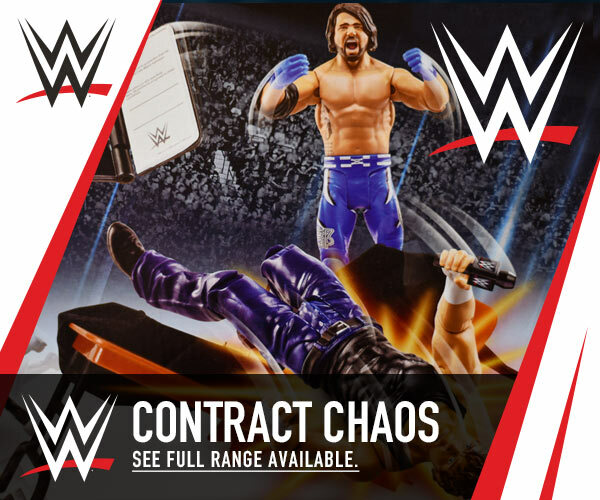 The original early WWE Retro Ring box artwork featured Finn Balor with AJ Styles in a headlock, this was later updated to feature AJ Styles launching a flying punch on Sami Zayn. A closer look also reveals they have changed his glove colour to blue in the packaging, to match his Retro figure. In September 2017, Mattel showcased an Enzo Amore WWE Retro, directly alongside Ric Flair, Finn Balor and Sami Zayn. This was most likely the planned fourth figure to be included in series 4, however due to the release of Enzo Amore from WWE, a repainted Kevin Owens from Series 1 wearing a changed t-shirt replaced Enzo. In mid-2019, Cesaro was originally planned in Series #9, however it was later updated without Cesaro. It is Kevin Owens who is the first WWE Superstar to have two WWE Retro Figures produced (Series 1 & 4). Sting would follow with having two Retros released (Series 2 & 6). 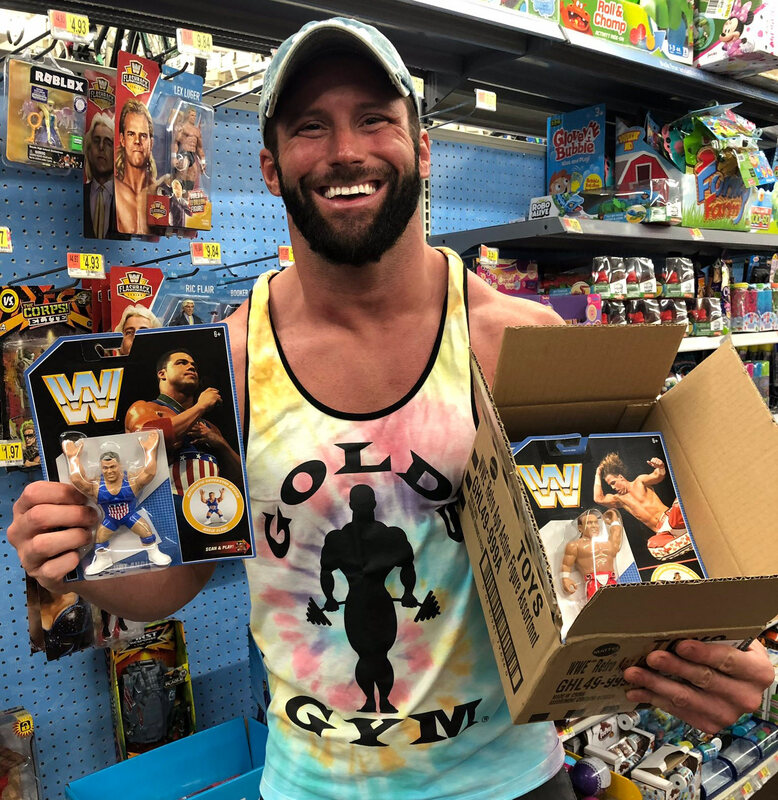 In April 2018 at the WrestleMania Fan Axxess event, Zack Ryder revealed a prototype image of an upcoming Zack Ryder WWE Retro that he was given from Mattel at the event.. The first WWE Retro Series figures featured two legends, however the second series featured a full set of six legends. Future series would feature usually one legend in the set of four. From WWE Retro series 3, several changes were made. The assortment was reduced to four per series from six. The reason given was that it would mean more series per year with a higher turnaround of sales as there would only be four in the set. Series 3 introduced a display stand with the wrestlers logo printed on it. An app feature was also introduced where you can scan under the display stand for WWE Mayhem app content. The other difference in series 3, was the change in colour of packaging from blue to red. 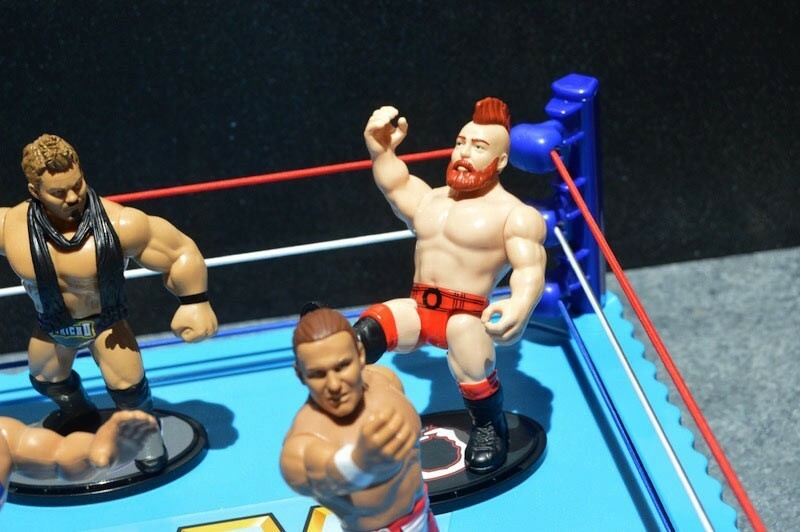 From WWE Retro Series 4 an extra point of articulation was added with a kicking action first featured with Sami Zayn. 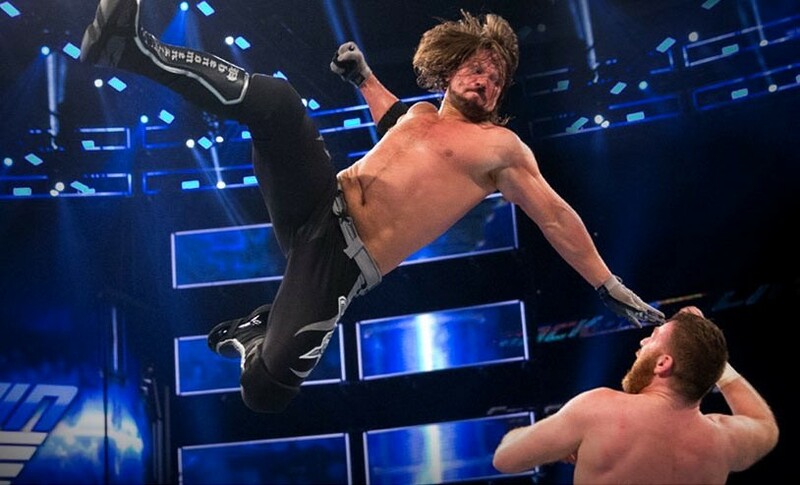 In Series 7, Sheamus also features the kicking action. WWE Retro Series 7 is the first wave of 2019. This has an updated packaging going back to blue. The Mayhem app covering the front of the packaging is now less intrusive, simply with a small “Scan and play” graphic in the bottom right. 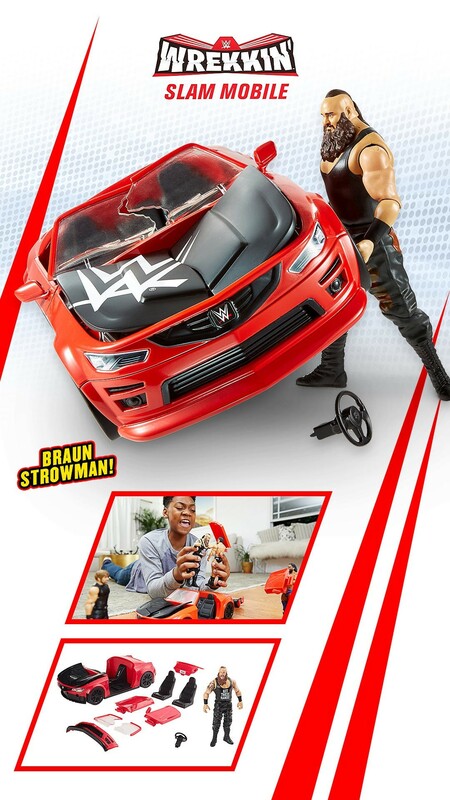 From Series 3 an app was released for the first time with Mattel WWE figures. What is interesting is that the App game feature was included and debuted in this line, as this is a more adult collector based series targeting consumers who had purchased since 1990. One possibility for the App feature being introduced was that in this period of 2017, former Google President Margaret Georgiadis, had taken over the Mattel reigns as CEO and directly initiated a more tech-focused effort as she targetted towards her so called “Generation Glass”. Although no longer with the toy maker, we can only speculate at this time if this was the case. As we pointed out, this was likely not the best series to actually launch this initiative with. The Basic or Sound Slammer series would have been more fitting in the same price region. Also its questionable that it hurt the outside packaging with an App game covering the front, considering many customers actually consider keeping them displayed in the blister packaging. Mattel is working on introducing women into the WWE Retro line. This was first mentioned during a Mattel live event video at SDCC 2018. From Series 9, Goldust will include a removable hair wig accessory. 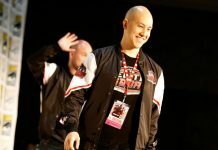 In 2019 another Retro is also planned to include an accessory item. More details to be announced at a later date. Here is a complete list of WWE Retro Figures. 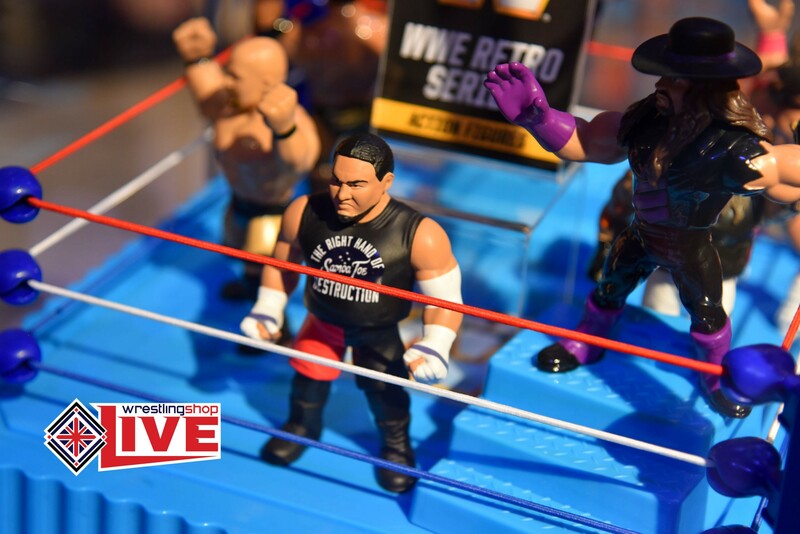 At Wrestling Shop Live 2018 on November 10, Bill Miekina debuted a world premiere first look in person at the Samoa Joe WWE Retro Figure from Series 9. The figure is also shown in our video interview from this event. Samoa Joe features his sleeveless black “The Right hand of Destruction” t-shirt with red/black shorts. 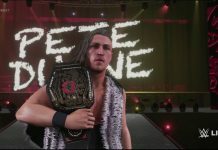 Update: On Feb 15, 2019 it was revealed that the Samoa Joe figure would be in his Green/Black attire. Diesel enters the Retro line. 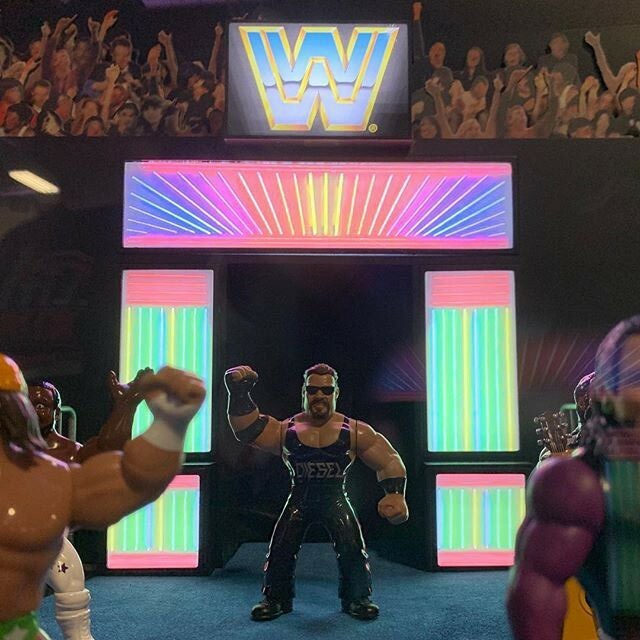 On April 4, 2019 at WrestleMania Axxess, Mattel Officially revealed WWE Retro Series 10 figures. This marked the first-ever release of Diesel which never featured in the Hasbro line. The Elias WWE Retro also became the second Retro to feature a removable accessory, with his breakaway Guitar. Approximate UK Retro release dates at Wrestlingshop.com for WWE Retro figures. Update was sent through direct this morning, it should be noted its possible they come in sooner or later either way. We have large orders placed.